Lucas Fox has released its sales figures for October 2017 showing that the knock-on effect of the Catalan referendum has so far not had a major impact on the property market in the region. Lucas Fox Barcelona registered an increase in sales of 27% in October 2017 compared to the same month last year. Levels of interest in other major cities such as Madrid and Valencia also increased significantly in October, with enquiries up by 13% and 15% respectively. Lucas Fox also released sales figures for the first three quarters of 2017 showing demand growing strongly across all regions. 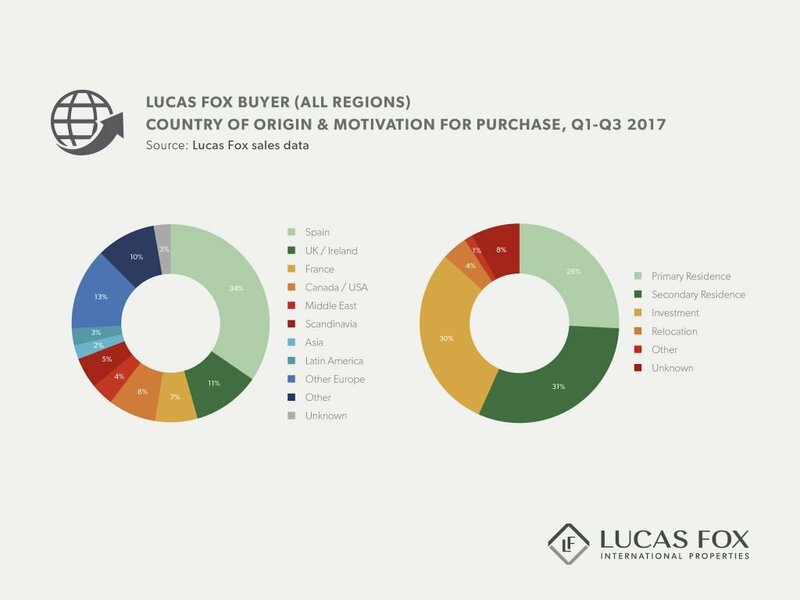 In the first three quarters of 2017, the number of Lucas Fox sales increased by just over 50% across all its regions, most notably in Madrid (70%) and Barcelona city (38%) as well as in Valencia and Sitges, which saw sales grow by more than 100% in the first nine months of this year compared to the same period in 2016. 65% of Lucas Fox buyers were foreign with British and French buyers accounting for 18% of sales. Sales to US and Canadian investors have continued an upward trend, and now represent 8% of all Lucas Fox sales. 31% of Lucas Fox buyers purchased a secondary residence, 30% bought as an investment and those seeking a primary residence accounted for 26% of sales in Q1-Q3 2017. Recent figures from the Association of Spanish Registrars show that foreign demand for Spanish property rose by 11.6% in Q3 2017 and currently represent 12.9% of the Spanish housing market. Third quarter results show that the average price of a prime property sold by Lucas Fox has risen significantly – from €709,111 in September 2016 to €802,000 in September 2017, an increase of 13% year-on-year. In Barcelona and Madrid, Lucas Fox has continued to register strong demand for new homes in the first three quarters of the year. Sales rose by 30% in Barcelona compared to the same period in 2016. 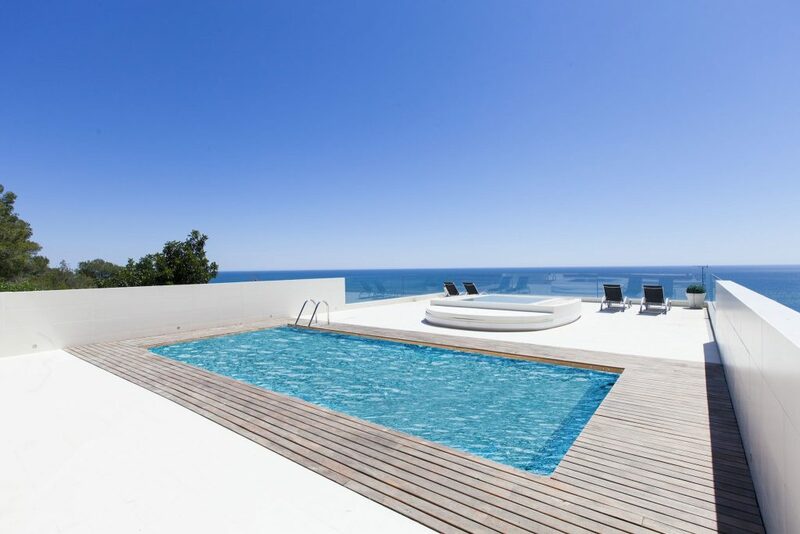 In Barcelona, national buyers accounted for just over a third of sales of these turnkey homes. In Madrid 47% of all sales were new homes, half of which were to national buyers and 38% to Latin American buyers. Earlier this month Lucas Fox launched its Affiliate Programme with the intention of opening Property Lounges in a further 50 locations by 2020. One of the strategies is targeting desirable Spanish locations which have so far been relatively untapped on an international level but offer huge potential, such as the cities of Málaga and Seville, the Basque Country and Galicia.